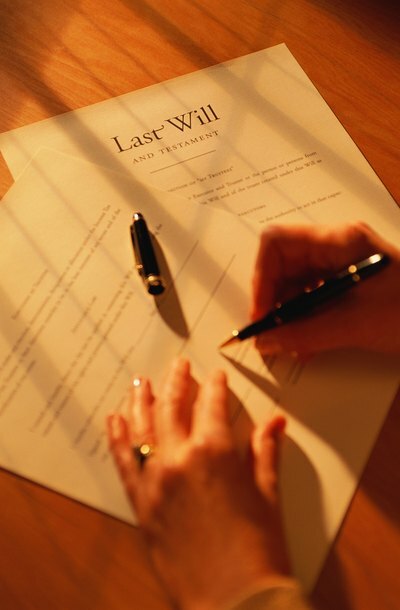 If you know how much cash you would like to leave a certain individual, or beneficiary, you can simply make a specific bequest in the will. For instance, you can leave a niece or nephew the sum of $1,000. This means that once all your estate assets are gathered and debts paid, and the executor is ready to make distributions, this beneficiary is entitled to $1,000. You can also leave cash as part of your residuary estate, which includes all your property that was not specifically mentioned in your will. In other words, it is the remainder of your estate after all bills are paid and all specific gifts are made. Cash gifted through the residuary estate is not generally listed as a dollar amount, but as a percentage of the remainder of the estate. There is no guarantee that a beneficiary will receive a residuary gift. If there is nothing remaining in the estate at the conclusion of estate administration, the residuary beneficiary will receive nothing.